Stean Nicholls is a renowned corporate company and has become a widely recognised and highly successful real estate brand within the Albury/Wodonga area. 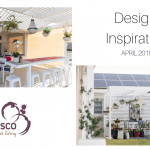 They have kindly shared how alfresco areas add value to your home, from their perspective. When potential purchasers first inspect a home, they often spend a large portion of time considering how they would entertain family and friends who come to visit. Visions of the family barbeque, drinks under the alfresco and watching the kids play outside is often one of the first thoughts that comes to mind. Having the perfect blend of indoor/outdoor flow and a space large enough to accommodate guests can have a direct bearing on the “liveability” of a home, thus influencing the overall price achieved. Whilst many potential purchasers do not actively recognise it, the amount of natural light a home has will have a direct impact on how a property feels. This means that it is important that an alfresco space does not restrict the amount of natural light that is allowed into the living space. 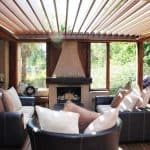 Clever planning can overcome this obstacle, such as a pitched roof or electric awning which allows the patio roof to open and close as desired. This can allow more natural light as well as add a point of difference when the time comes to sell. The harsh Australian climate means that most households enjoy outdoor entertaining in summer and avoid it as much as possible in the winter. 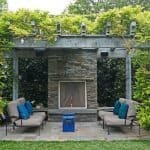 An alfresco space that can be enclosed allows the space to be used year-round and again adds a point of difference. 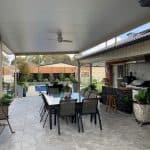 The design and finish of an alfresco space can in many cases add more value to a home than the amount of yard space and landscaping around it, as it is usually the place where people congregate and spend the most time when entertaining. This is always noticed directly or indirectly by potential purchasers and can shape the overall outcome when marketing your home.